YOU WILL BE INSTANTLY BEWITCHED! 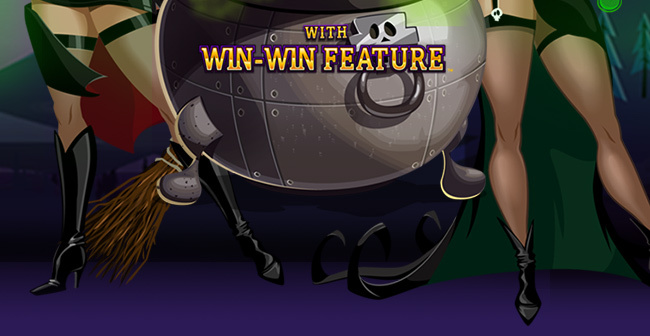 This 50-line video slot has Halloween written all over it. Designed with crisp sharp graphics, packed with bonus features and lead by the voluptuous Winni the Witch, it is no wonder players have flocked this game since its release. Take note that this slot is of very high volatility which means that you have to be patient at times to reach the bonus features, and features will not always grant you a considerable win. However, if the time is right these features can quickly multiply your balance allowing you to win big at SlotoӃash! 25WITCHES100 coupon holds 30x playthrough. 150WITCHES50 requires a $35 min. deposit and it holds 30x playthrough + 20x roll over on spins winnings. Both valid until tomorrow. SUNDAYWITCH holds 40x playthrough and $500 max cashout. and it is valid TODAY ONLY! Valid games to complete wagering: slots and keno. If you no longer wish to receive our updates, please click here to unsubscribe.